Suzie has returned to FIRA International as Technical Manager after a period of over 22 years in which time she has gained further experience in testing, product development, risk assessment and quality focusing on a wide range of nursery and childcare items which is now considered her specialist area. 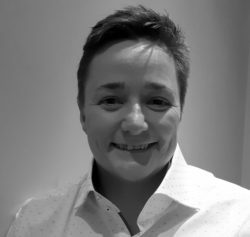 Suzie has worked with some of the most successful names in testing & inspection, retail and manufacturing and credits this, as well as her first role with us, as giving her such a broad range of knowledge in this particular industry. Process driven, Suzie is also able to apply her knowledge of product specification to the creation of supplier manuals and technical file documents. Her most recent position saw her branch into global product standards and legislation for a prominent retailer, working with approximately 50 international markets and dealing with anything from product registrations to interpretation of requirements, Suzie saw this as her most challenging and most rewarding role to date. Experienced in product standardisation, Suzie has been an active member of a number of BSI Technical Committees for 15 years and is hoping to take on further work in this area. For any assistance concerning the topics above, please contact sradcliffe-hart@fira.co.uk or call direct on 01438 777 611.